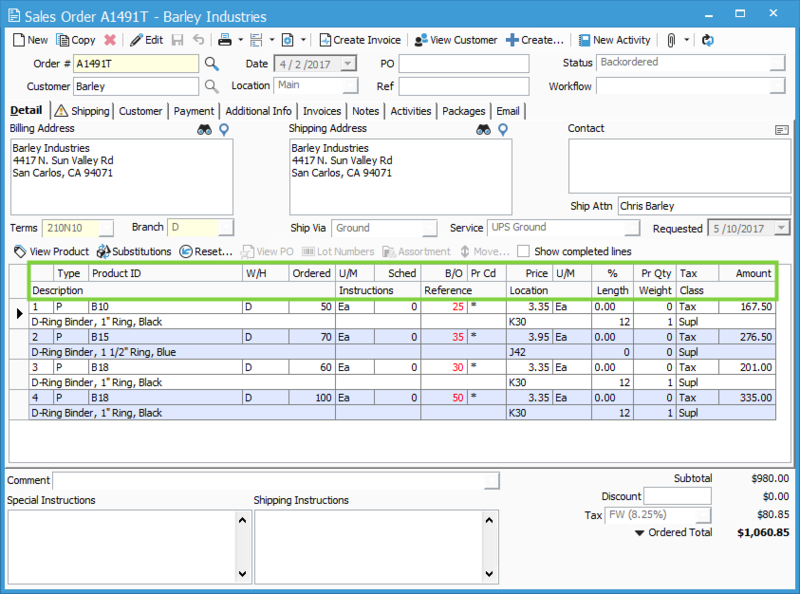 In Acctivate, different windows contain grids for different fields and columns. These fields can often be resized and moved around the grid by users based on their preferences. Acctivate remembers these settings for each user. If desired, a user can reset these grids back to the original settings. This article will show how you can restore these settings. 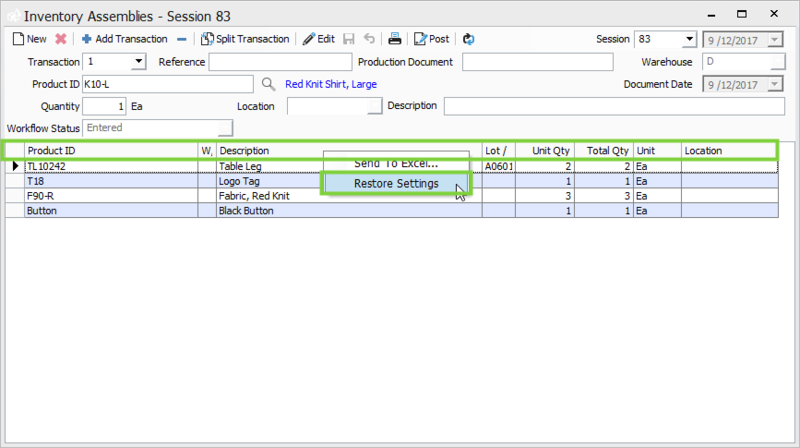 In the screenshot below, we are able to see a Sales Order window. 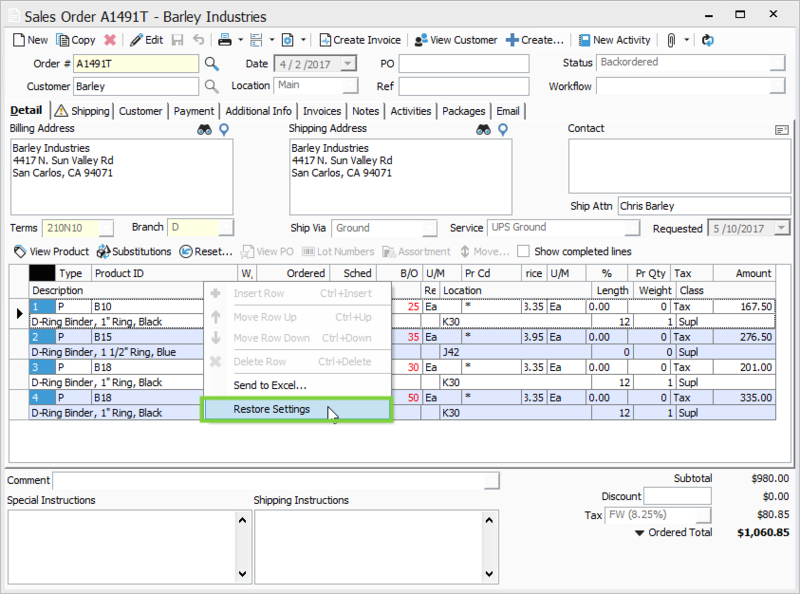 This screenshot shows the default grid settings for the Sales Order window. In this next screenshot, notice that the Sched and B/O fields have been moved to the left, so U/M now shows next to the Pr Cd field. The W/H field has been shrunk down so that the Warehouse on each line is no longer visible. The Location field is much larger, the Description field is much smaller, and the Pr Cd field has been expanded to be so large that the Price field is no longer visible. The last screenshot seems pretty difficult to read. A user may want to restore this back to the factory settings for the grid. To do this, simply right-click in the header row for one of these columns and select to “Restore Settings.” This will snap all fields in the grid back to their default places. 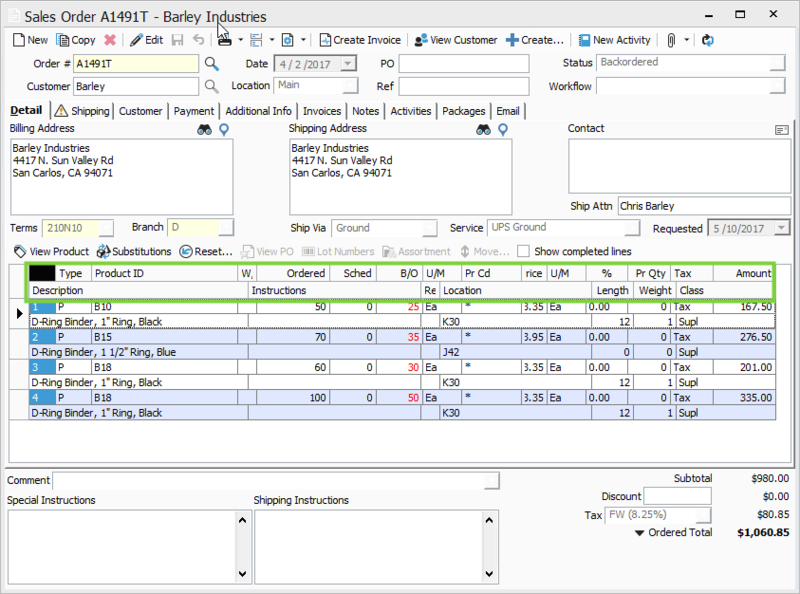 This is not just for the Sales Order window, but all windows with a grid in Acctivate. In the screenshot below, we can see the Inventory Assembly window. Notice that the W/H and Lot/Serial number fields have been resized and are now too small to read. Once again, right-click in the header row and you will notice the option to Restore Settings.